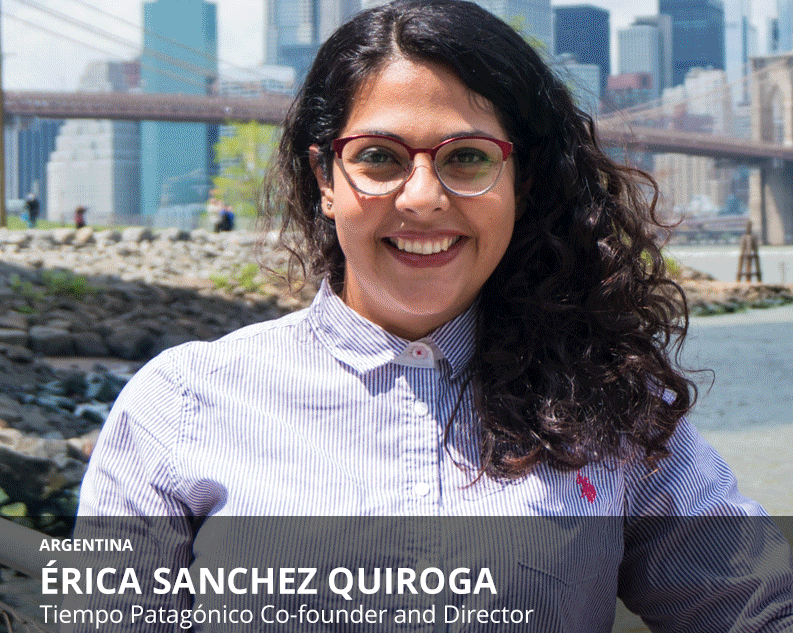 Women are taking a leadership role in the development of digital journalism in Latin America, according to a new study of 100 startups. The study, Inflection Point, by SembraMedia in partnership with Omidyar Network, offers many clues to achieving the elusive goal of sustainability for new digital media. Many international organizations and resources are aimed at developing women entrepreneurs and media leaders; the next step is connecting entrepreneurs with resources. One clue is that women have the skills and experience to lead the way: 62 percent of the 100 organizations in the study had at least one woman founder, and women represented 38 percent of the total founders of all the media (p. 41 in the PDF version). Extensive interviews with the founders — 25 each from Argentina, Brazil, Colombia and Mexico — produced data that clarified the elements of successful business models and showed the best places to invest resources and training. The findings are remarkable, given the male dominance of ownership and management in traditional media in Latin America. “We believe this finding about the relatively high number of women in leadership roles in digital media in Latin America is significant and warrants further study,” the authors wrote. Directors. There was not one woman among the 52 board members of Grupo Televisa and Televisión Azteca, the two dominant television groups, nor among two other prominent TV groups. In radio, women had 8 percent of the board seats, and in newspapers, 11 percent. Executives. In television, no women had any senior executive positions — not in administration, finance, or editorial. In radio, they had 11 percent of these strategic positions and in print media 13 percent (2014, pp. 198-205). Anecdotal evidence suggests that the situation is similar in most other Latin American countries. However, the SembraMedia-Omidyar study is filled with examples of success stories of women-led media. Economía Femini(s)ta of Argentina, founded by two economists, Mercedes D’Alessandro and Magalí Brosio, has produced articles that have attracted attention in international media, in particular a study of salary inequality titled, “Women earn less than men around the planet, and your mom, too.” The country’s Ministry of Economy has included the publication’s articles on its website. Aristegui Noticias of Mexico, founded and directed by Carmen Aristegui, was part of the original reporting team on the Panama Papers investigation that won the Pulitzer Prize. In addition, Aristegui’s investigative team revealed that President Enrique Peña Nieto’s wife had bought a US$7 million home in Mexico City with a loan from a company whose owner had received millions in contracts from Peña Nieto during his time as governor of the state of Mexico. Juanita León, co-founder and publisher of La Silla Vacía, and her team won the prestigious García Márquez journalism prize in 2016 for their coverage of the peace process in Colombia. She and her team have been leaders in data visualization, such as their section on the Super Powerful of Colombia. The study recommends more investigation of the “unprecedented phenomenon” of emerging women leaders in media. It also suggested that coverage of this trend might encourage more women to launch their own media startups. The resources to help them already exist. Many international organizations and resources are aimed at developing women entrepreneurs and media leaders; the next step is connecting entrepreneurs with resources. This post originally ran on the News Entrepreneurs blog and is re-posted with permission. James Breiner is a bilingual consultant on digital journalism and entrepreneurial journalism. He is currently a visiting professor at the University of Navarra in Spain. His websites are News Entrepreneurs and Periodismo Emprendedor en Iberoamérica.